UPDATE 15:00 -- Microsoft says they've identified the problem and "fix"... wait until tomorrow and the issue will go away. More below. Customers using the Zune 30 might experience problems starting their players. We’re aware of the problem and are working to correct it. That's of little comfort for users of the iPod-rival hoping to use the player to entertain friends at New Years' Eve parties tonight. The incident comes at poor timing for Microsoft who, in a few days, is expected to map out future Zune strategy at a CES keynote with Steve Balmer. First, remain calm. As frustrating as this situation is, you will only make matters worse if you try to fix things yourself. The best bet is to wait for a fix from Microsoft. Yes, it's annoying being without your portable entertainment device, but all gadgets have hiccups, and this one will be resolved. Do not panic. The "Zunepocalypse" only seems to affect 30GB Zune players at this time. There's no reason to believe your toaster, iPod, or garage door opener will suddenly stop working tonight. We survived "Y2K", we'll make it through this. Stay tuned. I'll post updated information here, and Microsoft's support site is also a great place to check for a fix. UPDATE 15:00: Microsoft tells me the bug is specific to the 30GB Zune and should self-resolve within the next 24 hours. There is, "A bug in the internal clock driver causing the 30GB device to improperly handle the last day of a leap year." Users experiencing problems are advised to sit tight, and try again tomorrow, on January 1, 2009. For details please visit Zune.net. Customers can continue to stay informed via the support page on zune.net (zune.net/support). We know this has been a big inconvenience to our customers and we are sorry for that, and want to thank them for their patience. Q: Why is this issue isolated to the Zune 30 device? It is a bug in a driver for a part that is only used in the Zune 30 device. Q: What fixes or patches are you putting in place to resolve this situation? This situation should remedy itself over the next 24 hours as the time flips to January 1st. Q: What’s the timeline on a fix? The issue Zune 30GB customers are experiencing today will self resolve as time changes to January 1. Q: Why did this occur at precisely 12:01 a.m. on December 31, 2008? There is a bug in the internal clock driver causing the 30GB device to improperly handle the last day of a leap year. Q: What is Zune doing to fix this issue? The issue should resolve itself. Q: Are you sure that this won’t happen to all 80, 120 or other flash devices? This issue is related to a part that is only used in Zune 30 devices. Q: How many 30GB Zune devices are affected? All 30GB devices are potentially affected. Q: Will you update the firmware before the next leap year (2012)? And finally... Happy New Year! DISH vs. Fisher: Will Portland & Seattle's DESPERATE HOUSEWIVES drag out the LOST rabbit ears to VIEW the upcoming premiere of THE BACHELOR?? The contract for DISH Network to carry Portland's KATU-TV (and other Fisher Communications stations in respective markets) ended at 11:00pm yesterday (17 December 2008). As of a few hours ago, customers of DISH Network tuning in to the local ABC affiliate are seeing a message from DISH Network's SVP of Programming explaining the situation and suggesting alternative stations to view local programming. Read a DISH Networks statement. "We believe DISH should be willing to pay a small portion of the fees you pay to DISH for the program content we provide to you." Other stations have had similar contract disputes with the Echostar-owned satellite provider. One dispute, involving Young Broadcasting (i.e. KRON-TV, San Francisco) was recently resolved. No word on the terms of this settlement. A) Do you receive programming via. DISH Networks? B) Do you care that you are currently without your Fisher-owned stations? C) Who, in your take, is at fault here? For those without ABC-affiliates KOMO-TV (SEA) or KATU-TV (PDX), many local newscasts (incl. the Portland talk show "AM Northwest" on which I am a frequent guest talking technology) are available at the stations' respective website. Rabbit ear antennas will provide a temporary workaround for those who can receive an over-the-air signal in their area. This solution may not work without a converter box after Feb. 17 (I'd guess/hope this issue will be resolved prior to the DTV conversion date), but could get you by for now. Sprint Launches First 3G / 4G WiMAX Device: Coming To Portland Soon? You’ve heard it before: Wireless broadband will blanket Portland like the City's recent snow. While nobody expects a new network set to roll into Portland “early 2009” to bring arctic temperatures, if early indications in Baltimore are any indication, what is to come is wireless Internet access that rivals most home broadband connections. A welcome relief to those disappointed by failed attempts by MetroFi to cover the city with wireless hotspots. Today Sprint announced specifics of an anticipated new dual-mode broadband access card – available next week – bridging the gap between existing 3G wireless data networks and a new Sprint 4G network . The faster network has been available since September in Baltimore and, if deductive reasoning prevails, comes to Portland in the coming months. The new card, in the form of a small USB modem, is the Sprint 3G/4G USB Modem U300, and is similar in form factor to devices now available for 3G networks (only). The device will be $149 after rebate and – to add 4G speeds – an additional $20 on top of current wireless broadband (3G) service plans. Mac users should note: unlike existing modems on the Sprint 3G network, the U300 does not yet work with OS X. I’m told support for Mac portables is coming sometime next year. Program Note: I’ll be receiving a 3G/4G modem soon and will test it out either in Baltimore or (certainly) Portland when the service is launched. Check back for a review of the device and my take on the new Sprint 4G network. I’ve been quite pleased with my Sprint 3G service, so hopefully the 4G is even more mobile broadband goodness! OVERLAND PARK, Kan. – Dec. 17, 2008 – Sprint (NYSE: S) is about to make wireless history again by bringing the mobile broadband future to its customers now. The 4G leader announced it will make the first 3G/4G dual-mode device, which operates on both Sprint 3G and 4G networks, available in retail stores Dec. 21. The Sprint 3G/4G USB Modem U300 delivers the power of the Now Network™, the nation’s largest and most dependable mobile broadband 3G network*, while also harnessing the turbocharged speeds of WiMAX on the new Sprint 4G network. Sprint launched 4G in Baltimore in September and plans to launch in other markets across the country throughout 2009. This versatile device will enable customers to experience blazing fast Internet access, greater productivity and enhanced multimedia quality throughout 4G markets, and offer access to the dependable Sprint 3G network virtually everywhere else. The 3G/4G USB modem represents another major development in truly un-tethered broadband access. Sprint 4G represents a shift in the way people will use mobile broadband. Businesses, consumers and governments will be able to extend their Internet experience beyond home or office use. For the business customer, a typical user experience might be the ability to participate in a video conference from anywhere within the coverage area in a Sprint 4G city while sharing and retrieving large data files in just seconds. For consumers, it might be the ability to download a song in several seconds or a movie in significantly less than an hour while in the park or moving through the city, three to five times faster than 3G networks. The Sprint 3G/4G USB modem will access mobile multimedia applications at average downlink speeds of 2-4 Mbps within Baltimore Sprint 4G service areas. Where Sprint 4G service has yet to launch, the dual-mode device will operate on the Nationwide Sprint Mobile Broadband 3G Network at average downlink speeds of 600 Kbps – 1.4 Mbps. Sprint is the first and only national wireless carrier to offer customers its 4G network and 3G network on one device. As 4G service continues to roll out in other cities, Sprint customers with dual-mode devices will be ready to take advantage of its super-fast speeds and will ultimately experience new forms of interactive communications, high- speed mobile Internet browsing, social-networking tools, local and location-centric products and services and city-wide broadband access to multimedia services including music, video, mobile TV and on-demand products. Franklin Wireless Corp. (OTC BB:FKWL.OB - News) designs and markets wireless broadband high speed data communication products such as 3rd generation ("3G") and 4th generation ("4G") wireless broadband modules and modems to end users and wireless companies in North and South American countries. It markets its products through original equipment manufacturers (OEMs) and distributors, as well as directly to operators and end users in North and South America. The company was founded in 1982 and is headquartered in San Diego, California. For more information about Franklin Wireless, please visit www.franklinwireless.com. * Largest based on square miles (including roaming). Dependable based on independent, third-party drive tests on 3G data connection success, session reliability, and signal strength for the 50 most populous markets from March through September 2008. Feeling a bit unprepared for this year's round of winter weather? I thought I'd bring you a special round-up of wacky winter weather gadgets, perfect for preparing for inclimate weather. We'll kick things off with an umbrella that clearly was *not* created in a region where diehard residents would rather get soaked than be seen walking down the waterfront with a handheld canopy. The Ambient Umbrella glows blue when rain or snow is in the local forecast. No setup or cables required: the golf-sized umbrella picks up weather information from an AccuWeather.com wireless broadcast. Pick one up for just over a hundred bucks at Amazon.com or learn more at AmbientDevices.com. How do you keep your beer cold when the power goes out? Try a USB-powered Bevearage Chiller from CoolIT. Of course, you'll need to plug this into a laptop with a charged battery, but hey... it's the price to pay for a cold brew, right? Their website reads: "Etre Touchy gloves are a stylish, fun and practical way to keep your hands warm while using your touchscreen phone, portable games system, media player and other electronic gadgets." Ya, so they look silly - but there's a useful aspect to the Touchy gloves. Have you tried to operate your iPhone with knit hand-warmers installed? Of course, I'm still not sure why strategic application of a pair of scissors wouldn't accomplish the same objective. What winter weather gadgets would you put in the "wacky" category? Add them to the comments and we'll have an update for you soon! In the meantime, stay warm, safe and Happy Holidays! The economy has claimed countless jobs and the tech sector is certainly not immune. With a recession on our hands, companies are slashing workforce and tightening their belts. Local employers are also trimming their payrolls. A) Network. A tough economy and record-setting jobless rate is no time for being an introvert. Meet as many people as you can and get your name out there. (Why wait for the pink slip? Start networking NOW!) Join a group, attend a meeting, get to know your neighbours (physical or virtual). These are great times for tools such as Twitter (follow me! ), social networking sites such as LinkedIn (add me! ), Facebook (ditto), and countless professional social networking communities. B) Attend local events. Important enough to warrant it's own bullet, but extremely related to the above tip -- get out there and meet your local community at area events, many free. Portland is fortunate to have many great meet-ups (I'm a huge fan of Beer & Blog linked to the right) and even more fortunate to have them aggregated in one spot thanks to Calagator: Portland's Tech Calendar. C) Refresh your skills. Portland is a great place to learn. Teachstreet.com, a Northwest startup in Seattle, Portland, SF Bay Area (and soon more), is one of my favorites: You can literally learn *anything* on this uber-directory-of-all-classes. While the site has lots of yoga and karate instructors, there are also valuable career-oriented classes available. If you've got more advice, or resources, for jobless listeners... pass them along, I'll post them here. You know the drill... you're browsing the aisles of your favorite big-box store looking for bargains, holiday gifts, or that impulse item you can't imagine life without. But are you getting the best deal? What if there's a better price at the store next door or online outpost? New tools for your mobile phone make price-checking as simple as taking a photo -- and they're available for smartphones now. Launched earlier this week, the Amazon.com Mobile iPhone app (free from the iTunes App Store) helps shoppers identify anything they can take a photo of, and it's backed by a team of human reviewers. Here's out it works: Load the app, select the "Amazon Remembers" function and take a photo -- of anything. Whether it's a product you're researching at the store or that gizmo at a friend's house, your photo will be identified by a team of Amazon helpers and added to your Amazon shopping list. Compare prices and look up Amazon pricing in the easy-to-use iPhone (and iPod Touch) application. If you're familiar with the popular music-finder application, Shazam -- think of this new iPhone gem as a sort of "Shazamazon". Taking it to the next-level, users of the T-Mobile G1 sporting the snazzy new Google operating system "Android" can use their phones as a barcode reader. Snap a photo of a product's UPC barcode and the mobile software looks up area pricing, and where you might find the item at a local retailer. The software only works, for now, on the Android platform, and, as I understand, technical limitations (the 'fixed focus' camera to blame) prevent porting this application to the iPhone -- for now. Now for those that don't have an iPhone or G1, there are still plenty of ways to look up pricing online. Many online retailers (including Amazon.com) have mobile-friendly versions of their website for any phone with a browser. Finally, you could always do what my own mother does: Call someone in front of a computer to confirm the must-have bargain you're considering. Want to listen to this story? Hear report originally aired on KOMO 1000 News Radio 4 December 2008. Click here (MP3) to listen now. Cyber Monday: 'Site Maintenence' Day?! An unfortunate reality that in a 24x7 world of web, occasionally sites simply must go offline for maintenance tasks such as upgrades, security patches, and migrating data centers. While often this can be avoided (redundant systems, etc. ), frequently the lost revenue shadows the cost of mitigating such downtime. Any system administrator (err, anyone with a couple minutes of logic) will tell you the best windows for shunting a site is when traffic is at a site's lowest (for example, after midnight on a weekend). While grumbling about life-disrupting hours, rollouts, launches, upgrades and critical maintenance almost always has engineers working the swing shift. Which then begs the question: Why on EARTH would bananarepublic.com be "temporarily closed for scheduled site improvements" on today, of all days. This, according to a message greeting potential customers at the online retailer, is in an effort to, "bring you a better shopping experience". My guess? The downtime wasn't scheduled at all. At least, I'd hope not... surely not on "Cyber Monday". 09:45 Update: According to a quick search of twitter.com, the Banana Republic website (along with sister sites Gap.com and OldNavy.com) has been offline for about an hour. Patrick Byers over at The Responsible Marketing Blog asks the question on all of our minds regarding the clearly erroneous splash page: "It’ll only take a few minutes, so why not just tell the truth?" 10:00 Update: Just hit refresh and it appears the Gap, Inc. sites are back online. Any guesses on the cost of this outage? Will the Cyber Monday offers be extended an extra hour to compensate? As a gadget geek, I have the pleasure of reviewing numerous fun and exciting gizmos, gadgets, and thing-a-majigs throughout the year. One that really caught my eye this year is the VholdR Wearable Camera made by the Seattle, WA start-up I told you about during CES in January. Well great news, they're now available on Amazon.com and make a great gift for the adventurous types on your list. A super-simple camera for even the most non-techie (slide to record, slide to stop) adventurer, the true beauty is in the easy-to-use software (which now, you'll be thrilled to know), is available for Mac users! For a video demo, check out this blog posting and pick one up at Amazon.com. And when you do... I'd love to see the videos! First tip: Patience. Often persistence, patience and some good-'ole fashioned hard work will land that essential gift. Befriend a local store manager, call the local big box each morning, and shop online - often. There's no telling when a sold-out item will be in stock and as they say: "the early bird..." (you get the idea). A) Shop around. Amazon.com might be convenient, but they don't always have the best price. Use price comparison sites such as pricegrabber.com or even Google itself to check average prices. Be sure to check total price, including shipping and any taxes / fees. B) Use a rebate site (my favorite, and I've mentioned it on the show before, EBATES.com) or referral bonuses (check your airline website for air mile opportunities for example) for maximum return on your holiday dollar. Seriously, folks, don't buy before you first visit EBATES.com -- you're leaving money on the table. D) Check the return policy and save your receipt. Especially in this economy, prices are subject to change. Learn your retailers return policy and price adjustment practices. And check back. Another retailers may offer a lower price (repurchase/return) while some may drastically reduce their own prices. Online retailers with physical stores near you may allow in-store returns (or price adjustments), but check policies carefully before you buy. I spent over $100 at Banana Republic this past weekend only to return the next day to find out they were offering an additional %10 and other savings -- I got a bonus tie with the extra savings! 12/1 Update: Hear this story as broadcast on Newsradio 750 KXL (KXL.com) during our Cyber Monday coverage. Listen to the MP3 now. 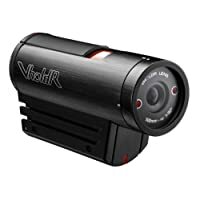 Grab yours on Amazon.com for $1150 including lens (I recommend the 18-200 lens upgrade for a few hundred bucks more). Flip Mino HD – Flip video cameras revolutionized the video capture world. They made taking, editing, and sharing video clips of family and friends simple. Now the same folks took it to the next level by introducing a high-defintion camera: the Flip Mino HD. Capable of 60 minutes of high definition video before downloading, the Flip’s a perfect on-the-go high-quality pocket camera. More information here and you can order yours from Amazon.com here. Intouch IT7150 Multimedia touchscreen – Far more than “last year’s” digital photo frame, the IT7150 is a complete multimedia entertainment viewer. It plays photo and video slideshows, music, browses the web, even plays your favorite internet-streaming radio stations (you can listen to me weekly on Newsradio 750 KXL! )… And if that’s not enough – it’s RSS technology let’s you stream content directly to the photo frame via. WiFi. Give this gift to the grandparents and update the photos they see automatically! (No word at press time on if this versatile device also “slices, dices, and makes pizza… “, though it wouldn’t surprise me!) Starting price: $349 at Amazon.com or other retailers. Epson Artisan 800 – The ultimate home printer: not only does this deluxe model serve up photo prints quickly, it scans, faxes, and prints on media such as DVDs and CDs. A great household printer and just as useful in the home office, the Artisan 800 serves as a great replacement for the separate devices cluttering the den (and the cables, power adapters, and accessories that go with them!). Buy now! HP TouchSmart PC – Owners of the iPhone will agree that Touch is ONLY way to interface with electronics. Swipe, pinch, swoosh… the HP Touchsmart line of PCs makes this a bigscreen reality. Models available with BluRay high-definition video, HP’s touch-interface software and full multimedia capabilities. This machine is the perfect family computer for videos, music, photos and all your family memories. Upgrade your family computer here starting at $1200. http://halloween.com-- general overview with great links and information. http://halloweenmashup.com -- find local haunts, area events, activities and more on a map! http://halloweengames101.com-- great party games, fun ideas for halloween parties and entertaining. http://halloweenghoststories.com -- relive the legends and scary ghost stories. http://halloween-ecards.com -- e-greeting cards to send to friends and family with Halloween themes. http://allergizer.com / http://healthcentral.com / http://allergymoms.com -- all great sites for allergy-free alternative treats. http://familywatchdog.us -- enter an address, get a list of predators in your area -- great places to avoid trick-or-treating. Printer Problems? Try these tips! They cause a lot of problems for corporate IT departments and home users alike... We're talking PRINTERS. Fortunately for anyone who's ever walked down the hall only to crumble up their hard copy in frustration -- I've got some tips to make the most of your printer. Update your printer driver -- software (we're talking operating systems, browsers, accounting software, even your favourite word processing program) is regularly updating itself with new and fresh updates -- especially with internet-connected machines these days. Your printer needs software check-ups as well. A great first step to reducing problems is to download the latest driver suitable for your operating system. Find the driver you need at your printer makers' website. Don't get frustrated Know that printers cause headaches for even the most skilled technicians -- you're not alone. Patience, logical troubleshooting techniques (think of the basics first: is it properly connected, did you recently update your software, can another computer print okay, is the toner/ink properly inserted and fresh?) can often identify and solve problems quickly. Proper care and feeding is important. Follow manufacturer's directions for everything from what supplies to use to how to regularly clean your printer. Think of a printer as a car -- it needs oil changes, cleaning and occasional repairs to run properly. Neglecting any of these maintenance tasks will shorten the life of your printer (and, like your car -- you'll be stranded when you need it most!). While we're talking printers... recycled cartridges can be a good way to save some cash -- but be cautious, they're not all created equal -- look for cartridges sold by a vendor you trust (the big box office supply stores, for instance) that are designed specifically for your printer. If your printer is under maintenance contract or extended warranty -- be sure you are not violating these agreements to save a few bucks. Be an eco-friendly printer: Print only what's necessary (do you really need to print that email? ), use the "print preview" function to check pagination, reduce font size and margins when possible, and try double-sided or N-up (multiple images on one side) printing, especially with large documents. Give online reviewing options a try when editing documents, and use electronic PDF receipts for web transactions and bill payment verifications. Perhaps you've got a tip on how to extend the life of your printer? Want to share an eco-friendly way to save paper and reduce trips to the office printer? Drop me a line (techexpert (AT) brianwestbrook (DOT) com) or leave a comment below. Want Improved Cellular Coverage? Run For US President! Seems the McCain ranch in Sedona, AZ has great cellular coverage in what was once a dead spot. As a nominee for the Commander In Chief post, McCain has an expected entourage of press and security (including Secret Service presence) -- all obvious cell phone users. Verizon and AT&T both clarify the temporary towers were installed based on a "business decision". Residents of the Northwest will have the opportunity to ask questions about the DTV conversion of FCC Commissioner Jonathan Adelstein next week. The meetings, October 20th to 23rd, will take place in four cities in Washington and Oregon. Complete details in the FCC press release below. Washington, DC – FCC Commissioner Jonathan S. Adelstein announced he will visit Portland, OR, on October 20, Yakima, WA, on October 21, Spokane, WA, on October 22, and Seattle, WA, on October 23 to hold public town hall meetings on the digital television (DTV) transition. The FCC identified target television markets for specific DTV outreach, including all those markets in which more than 100,000 households or at least 15% of the households rely solely on over-the-air signals for television reception. The five FCC Commissioners and senior Commission staff will visit these and other markets to raise awareness and educate consumers in the days leading up to the DTV transition on February 17, 2009. Reasonable accommodations for people with disabilities are available upon request. Include a description of the accommodation you will need with as much detail as possible. Also include a way we can contact you if we need more information. Please provide as much advance notice as possible; last minute requests will be accepted, but may be impossible to fill. Send an e-mail to fcc504@fcc.gov or call the Consumer & Governmental Affairs Bureau at 202-418-0530 (voice), 202-418-0432 (TTY). Donate Old Cell Phones -- Save the Earth! ... Save A Life? Seems each week we're talking about the latest and greatest new mobile gadget to save you time, increase your producticitiy and keep you in contact with friends and family. With the constant incentive to upgrade, what about your unused phone? Cellular carriers are providing an easy option to donate your unused phone to benefit organizations that help victims and survivors of domestic violence. You can participate by taking your phone to any Verizon Wireless store (other carriers offer similar programs, be sure to ask when you buy your new phone for details!). For more information, visit Verizon Wireless' HopeLine website here. Donated phones are not tax deductible. One question I hear often is: Should I wait to buy... ? While my advice is generally consistent (if you need it now, buy it now) there are great resources for tracking whether or not you should hold off -- especially when it comes to Apple products. Certainly keeping up with sites such as MacRumors.com will give you a pulse on what the rumor mill is saying (with varying degrees of inaccuracy). A section of the same website -- the Buyer's Guide -- tracks time between previous updates and contains helpful recommendations such as: "Don't Buy - Updates soon" (current the advice for Macboook and Macbook Pro systems). While this information fits squarely in the "individual results may vary" category and you may not be able to wait for the elusive and unconfirmed updates 'soon' -- there are occasionally times when waiting just makes sense. Apple has invited press to an event on October 14th. According to Engadget, this one's all about notebooks. So, ya... it'd be a bad idea to pick up a new Macbook this weekend. Unless of course, you must. Microsoft PDC 2008 Commercial: "Leave the coffee, Brian..."
Okay, so I'm sorta rolling my eyes... but you hafta admit, it's a break from the traditional promos for Microsoft's upcoming Professional Developers' Conference in Los Angeles later this month. I'm shutting ORblogs down now because the site continues to grow and the job of maintaining the site at the level I feel is necessary to keep it valuable has grown with it, putting it out of the bounds of a hobby. I wasn't able to make ORblogs self-sustaining financially (let alone turn it into a job), and I can no longer devote the time to the site that it needs to grow. This, obviously, doesn't sit well with bloggers such as Rick Turozcy over at Silicon Florist. He writes, "I mean, I was always taught the whole 'if you love something, let it go' thing. But, quite frankly, I’m not willing to let this one go." I strongly encourage you to hop on over and read this comprehensive post by Rick describing what's at stake here. The conversation continues this morning on Twitter and in this FriendFeed room created by J-P Voilleque. Earlier this morning my friends at KATU.com gave the fight to save ORBlogs some extra visibility. I, for my small part, join Rick and the dozens of others rallying in support of ORBlogs (I've also put a bug in the ear of some key execs who may be able to pitch in)... won't you join us? UPDATE 1 (10:30): Mettadore weighed in lengthy analysis of what is needed to save the site (and how you can help), and proposed next steps. Great work! The Oregonian has a write-up on their site as well. If you'd like to join the campaign, drop me an email (tech AT brianwestbrook DOT com), or leave a comment and I'll pass your details on to the appropriate contacts... This includes, especially, potential future sponsors from across the great State of Oregon! On February 17th 2009, as my regular listeners know, television stations across the country will convert their analog broadcast signals to a new higher-capacity digital spectrum. What this means to television viewers varies depending on how you receive programming, but for many, the conversion could leave you with a live view of what resembles a 24/7 snowstorm. What do you do with your old set? Give the old TV to a friend or donate it to a second-hand store. HP 2133 Mini-Note PC -- "Honey?? I shrunk the laptop!" Once you get this (large) paperback-book sized notebook in your hand, you likely won't be able to set it down. Sporting an impressive 8.9" screen, I was especially drawn to the durability of this sub-notebook -- the thing just feels like it can be tossed in a backpack among the school books and gadgets. 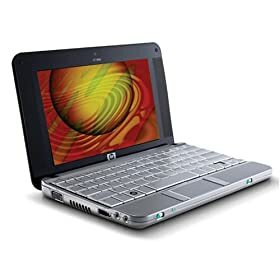 I will say, use caution when buying -- there are a few different models, the basic configuration comes with an Open Source Linux installation, if you're hoping for a Windows Vista-based machine, it's $100 more. Take a look for yourself here. On the Apple side, there are two products worth mentioning. The first, my favoritate, is the super-slim Macbook Air. You've probably seen the launch commercials where it slides, no kidding, out of an envelope. It's eco-friendly and made from recycled parts. The keyboard is perfect for long hours of note-taking, and the brilliant display perfect for unwinding with a movie. Both of these options are best as a second machine. While both are completely capable and run full versions of their respective Microsoft Office software (check with your school for academic pricing), you may consider taking a full-sized computer with large music-storing hard drive and standard keyboard for those all-nighter typing sessions. Top-of-the-list: An external USB hard drive. Western Digital makes my favorites for around a hundred bucks. Cheap insurance against lost, stolen, or malfunctioning computers. Plug it into the campus computer lab and you're back up and running. Finally, textbooks are an expensive part of any back-to-school budget. There's a great website that lets you rent the essentials, and it works a lot like Netflix. For more information on Chegg.com check 'em out online. They'll even let you keep the books if you decide you can't give it up at the end of the quarter! Gmail Outage: How to cope WHEN technology fails? Earlier this afternoon, the Twitter community was abuzz of cries that Google's popular email service, Gmail, was down. While this outage appeared system-wide and affected millions of users, some downtime can affect certain elements of a system with as few as a single user. Plan -- The best thing you can do to prepare for any outage (power, email, computer malfunction) is to plan ahead. While this might seem incredibly obvious, think of the number of times you've fumbled around a dark, powerless, house looking for flashlight batteries? You probably promised yourself you'd put fresh batteries in an easy-to-find spot "just as soon as the lights come back on". (Did you?) In the case of technology we rely upon daily, planning ahead is just as critical. While some outages (this latest Gmail as an example) lasted just a few minutes, other outages may be days, weeks, longer. Think about each system you use daily and how you would live without it for minutes, hours, or days. Backup -- While most free email systems are robust and unlikely to break (and if they do, will likely be back quickly), remember you "get what you pay for". Just like your hard drive, it's crucial to have some degree of redundancy. Now might be a great time to set up a backup email account (with a completely separate provider) in case your primary account goes down. Depending on how much you rely on your mobile provider, internet connection, or other online services -- a backup might be a good idea for these as well. Diagnose -- I like to advise users to take a step back, thinking about a current problem or outage from an objective standpoint. Ask questions like: Does this work on another computer? Are my neighbours (or coworkers) having similar trouble? Did something change (new software installed, different internet connection, etc.) on my end? Did it work before? Think outside the box, you may be able to fix your own problem! Report -- Tell someone about your experience. Report the facts, objectively as much as possible, and provide details. Helpful information: time, symptoms, duration, specific observations, troubleshooting you've tried. Less helpful information: frustration, anxiety, vague recollections, exaggerations, generalizations (Are you sure the ENTIRE Internet is down.... or perhaps just YOUR connection TO the Internet? ;-)). Patience -- Now I understand there are mission-critical systems that absolutely cannot fail. I've supported these systems and understand that getting them back up and running is rarely an exercise in patience for management, users, and the pager-carrying IT guys tasked with fixing them... but for the rest of the world: email, blogs, web browsing, and certainly social networking sites -- can likely wait a few minutes. Take a break, catch up on your filing or offline projects, have an impromptu brainstorming session or just bang your head against the desk repeatedly. In many cases the system or service you "can't live without" will be back before you know it. Do you have any more outage-related advice? Horror stories? Feel free to post in the comments. And hey, look at that... Gmail's back up and running (for me, anyway)! Yay! Tired of chasing Mario aimlessly around the racetrack? Bored of the never-ending quest to save humanity from evil-doers everywhere? Looking for a game suitable for boys, girls and their siblings? UFO Interactive Games offers a simple, kid-friendly and rewarding game pack featuring 36 casual and skill-based mini-games for Nintendo’s portable game system. Pre-order now on Amazon.com. With fun and easy-to-use phones perfect for the youngster, the pair of options from Firefly starts with the basic glowPhone (pink or black) for $50 that makes and receives phone calls (go figure, right?) using a pre-programmed (and PIN-protected) address book – and sports built-in games and wallpapers. For twice the price parents can equip their grade-schoolers with text messaging and MP3 playback in the flyPhone. Learn-Anything Site TeachStreet.com Adds Portland! Ever wish you could learn something new? With a simple premise, a new website hits Portland this weekend. After a successful launch in Seattle earlier this year, startup TeachStreet.com looks forward to revolutionizing how you learn about, connect with, and ultimately review area teachers. Future students visiting the site are presented two search boxes. One for the subject matter you’d like to learn and another the city where you’d like to find instruction. CEO Dave Schapell tells me they’ve combed the Internet, course offerings catalogs, and directories to catalog every available class they could find – putting it all online for the Portland, OR and Vancouver, WA communities – some 30,000 classes in all. And teachers can get in on the action too. If you’ve got something to teach, or are good at – well, anything – you can list your services, prices, and class offerings online. (The site welcomes anything from 1:1 instruction services to more traditional classroom offerings.) Right now it’s free for teachers to list and students to search. Now while I doubt anyone will have time to attend all 30,000 classes – it’s good to know the next time I need a Rumba refresher or a splash of Spanish – there are folks in my area ready to teach... even me. Remember, the site launches this weekend, so if TeachStreet.com doesn’t find a class you’re looking for try searching in Seattle to get an idea of how the site works and check back... Dave promises it will be up-and-running by Monday. AT&T today announced detailed iPhone 3G pricing causing more confusion than clarification. You recall Steve Jobs' announcing the iPhone 3G at "twice the data, half the price". Well, we quickly learned given higher-priced data plans, the true cost (over the "life" of your contract) was actually slightly higher. Many, including myself, rationalized this as faster data speeds at an increased fee. This is how I understand the pricing scheme. If you read AT&T's information differently, let me know. I suspect most users will fall in to the first camp. For instance, I'm a T-Mobile customer planning to switch to AT&T. If I were under contract with T-Mobile I'd pay a standard $200 early termination fee. AT&T's own customers under contract will pay a similar higher price to "get out of" their existing commitment to switch to the new iPhone. The real advantage here goes to the current iPhone users. They are upgrading at the same price meant to attract new customers while only renewing (not adding to) their previous contract commitment. I can only imagine the uproar we'd hear if AT&T didn't recognize current iPhone users' commitment with the $199/$299 pricing. "According to the company, only those people that purchased an iPhone before July 11, want to activate a new line, and are eligible for an upgrade discount, will be allowed to purchase the iPhone 3G for $199 or $299. For the rest of you suckers, you’ll be doling out a whopping $399 for the 8GB model and $499 for the 16GB model. Focusing on Microsoft for my weekly radio segment on KXL, we took a look at Microsoft's new Live Search Cashback program, took a peek at early features of the next version of Windows, and a second look at Windows XP woes. The program is pretty simple. Use Microsoft's Live Search to find products you're looking to buy from hundres of merchants and get a rebate. Now of course, there are screens and screens of terms and conditions but as a marketing promotion to entice users into giving Live Search a try... it's about as rudimentary as you get. Sites such as ebates.com have similar offers, fueled by a vendor's affiliate program. Microsoft's offering takes this to the next level. Hit $5.00 and you can request a kickback from your purchases. Score! Learn more about Live Search Cashback by visiting the website or read the comprehensive FAQs. The transitioning Bill Gates and his successor Steve Ballmer demonstrated a multitouch feature of the new Windows 7 operating system. Similar to the iPhone's touch interface and the Microsoft Surface (among others), it sports pinching, twisting and touching the screen. If this dream comes true, soon all computers will have touchscreens. (I can hear users everywhere saying... does this mean I need yet ANOTHER computer upgrade?) Don't worry -- it's not due out until late 2009 (and then if history repeats itself, likely delayed). Check out a video of Windows 7 multitouch preview in a previous post on this blog. Also on today's show we chatted about user feedback to XP. In chatting with users it seems some are starting to give the plagued operating system a second chance. What has your reaction to Windows Vista been? Did you load and rollback? Ready to give it a second try? Drop me a line. Sure you could pay down your credit card debt. Perhaps a great plan to toss it into a savings account. Likely good idea to pay bills or even high gas prices with your federal bonus. But who wants to do any of these sensible things? Buzzillions.com -- product reviews from folks that have bought the product they're talking about, all brought together by the folks that provide product review technology to some big-name websites. Woot.com -- a great site if you're looking for that gadget you didn't know you needed... The online retailer sells one gadget a day, when it's gone, it's gone! Slickdeals.net -- This site will help you stretch your stimulus check as far as possible... coupon codes, discounts, and a guide to the best online savings. The IRS has set up this website to check progress on your stimulus check, and tools to determine if you're even eligible. The FBI is warning about a new scam targeting those patiently waiting for the extra money. The key message? Don't fall prey to scammers purporting to be the IRS scamming your personal information! DVR Full? Add Drive and Keep Recording! Enter hard drive maker Western Digital with a solution in a box: a 500GB external hard drive for DISH Network's ViP Series HD DVR. This low-power gizmo plugs into the DISH Network DVR receiver and adds 60 hours of High Definition recordings. While the DISH Network DVR version is new today, a previous version works with many TiVo DVRs, including our Series 3. One caution: the TiVo version uses an eSATA interface and (as of Christmas 2007) did not come with the right interface cable. (Order online early, eSATA cables aren't, as I discovered recently, exactly corner store items.) Fortunately, WD's DISH Network DVR expander lists an external USB cable as an included accessory. Unfortunately for me, while a happy DISH subscriber, I don't have their DVR receiver -- though it seemed a less-expensive, yet quite acceptable, substitute for a separate TiVo device. The new DISH DVR Expander (500GB) lists at $149.99. The Western Digital MY DVR Expander series for both DISH, TiVo and Scientific Atlanta DVRs can be found on their website at http://www.shopwd.com (and presumably all the usual outlets soon). The Amazon Kindle eBook reader came out last Holiday season, but is now readily available. Perfect for the reading Mom on-the-go, new bookes and magazines can be downloaded right to the device. For the power-shopper Mom, check out the SmartShopper grocery list organizer. Speak the item you need to add to the list into the magnetic-mount organizer and it will sort and categorize your shopping list. When you're heading to the store click "Print" and the device dispenses a list, sorted by aisle, to save time at the store. Opting for a non-tech holiday? Use the web to make brunch reservations at OpenTable.com, they've got lots of restaurants in the Northwest with space-available on Sunday. Or perhaps you'd like to spend time with Mom showing her how to make the most of her computer, camera, or that gadget that seemed like a good idea last December. With the holiday comes a reminder of the dangers of e-greeting cards. Clicking a link that looks like a friendly note could in fact be looking or your personal information -- be cautious. Especially troubling, emails circulating to high-level executives purporting to be subpoenas from the FBI. Law enforcement will not send a subpoena via. email. Toss 'em in the trash. Happy Mother's Day to all the Moms and thanks again for listening! For Earth Day on KATU's AM Northwest I took to the streets of Portland to show eco-friendly gadgets... and how to responsibly recycle your old, unwanted, technology. Click on the image above to watch the piece on KATU.com, or browse the list of featured products below. "iPhone Protection from Recycled Plastic"
"Emergency broadcasts, flashlight, phone charger"
Today at 6pm KOMO 4 News took a look at a high-tech solution to finding the cheapest fill-up. The TomTom 930 helps users find the lowest gas prices -- join me for a demo. Click the video below to watch. Dell Inc. is offering residents of the Washington’s Clark County area and the Portland, Oregon area a free computer recycling event, Sat., April 19, 2008, at IMS Electronics Facility in the Port of Vancouver. The event is being hosted in celebration of Earth Day and will provide area residents an opportunity to recycle electronics for free. The collection event will accept any make or model of computers and related equipment, including monitors, printers, scanners, keyboards, mice, and laptops. Televisions, stereo equipment, cell phones, gaming consoles and mobile entertainment devices are also accepted. Electronic items NOT accepted include: appliances, lamps, batteries etc. All materials collected at this event will be recycled at IMS Electronics under Washington State’s new Preferred Processor Standards. Participants should remove all data from their computer's hard drive and any removable media such as disks, PC cards, flash drives, CD-ROMs. If there's one thing I can't travel without its my Macbook Air. More than an inflight entertainment system or essential communications tool -- when travel plans require flexibility, the sleek ultraportable becomes an airline rebooking engine. Airline websites: In the event of a flight cancellation, you may not be able to rebook online, but you will be able to find alternate flights, check availability, or -- if necessary -- buy another ticket altogether (on a different carrier if necessary). Don't forget many carriers also have sites designed for work on mobile phones like the iPhone or Blackberry. Check flight delays, routes and schedules, aircraft types and get the latest operational status. Flyertalk.com: If there's a community of travel experts -- this is it. Many members of this online community fly every week, some more often, and they know the tricks of the trade. SeatGuru.com: It won't necessarily help you find an alternate flight, but it will get you a comfortable seat. A must-visit resource when planning any travel. TripAdvisor.com: The travel portal for community reviews and information to the tune of nearly 18 million! Whether you're looking for a good quiet hotel to get a decent night's sleep before trying to get home the next day, or want to know where to plan your next vacation -- this site, by the same people that run the online travel kings Expedia.com and their discount brother Hotwire.com, has it all! Always carry your chargers with you. Gadget batteries don't last forever and if your luggage is lost, or stuck in the bowels of the airport -- you'll want a recharge. Find a hotspot. Most airports have gone wireless - some, like PDX, are free. And if you don't have a laptop, airport lounges, internet kiosks and business centers are a great place to get online. All the gadgets in the world can not replace the most essential carry-on: Patience. As the motto goes, "Be Prepared". Flight cancellations, delays and other travel disruptions are a reality... those prepared and armed with the information and tips to get their travel plans back on track -- will find themselves home with the loved ones first.